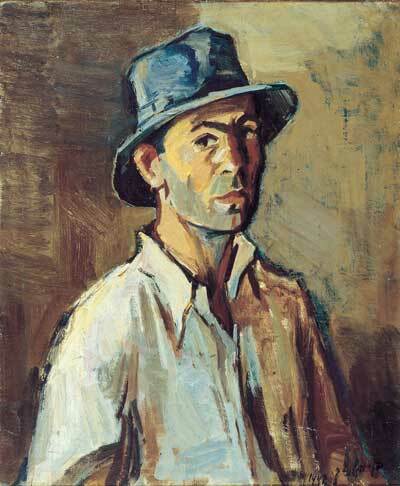 1947 Oil on canvas 54 x 65.5 cm. 1962 Oil on canvas 136 x 190 cm. Silk-screen 94 X 80 cm. 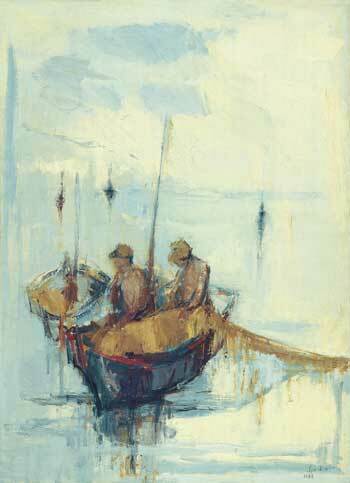 "FISHERMEN ON THE SEA OF GALILEE"
Silk-screen 60 X 80 cm. 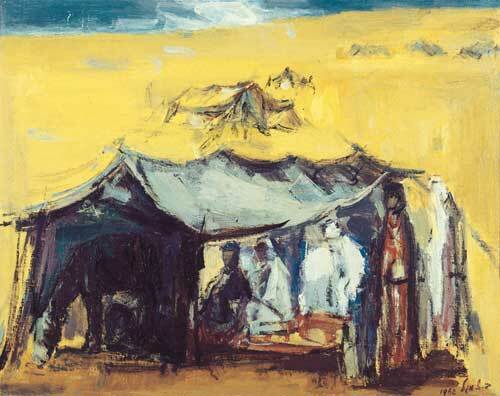 1962 Oil on canvas 88.5 x 116 cm. 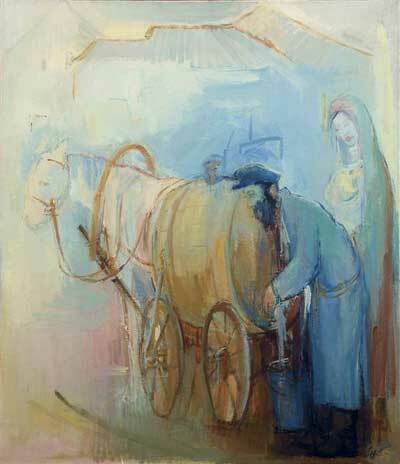 1970 Oil on canvas 61 x 50 cm. Silk-screen 46 X 60 cm. Silk-screen 110 X 80 cm. 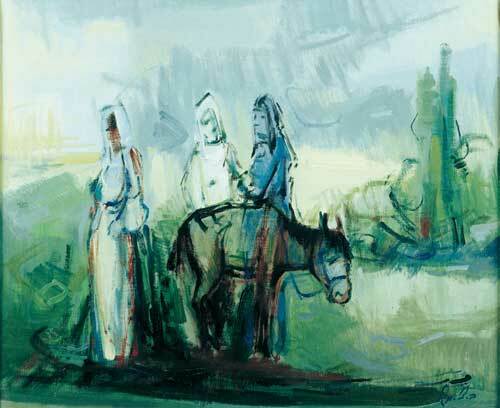 1962 Oil on canvas 92 x 73 cm. 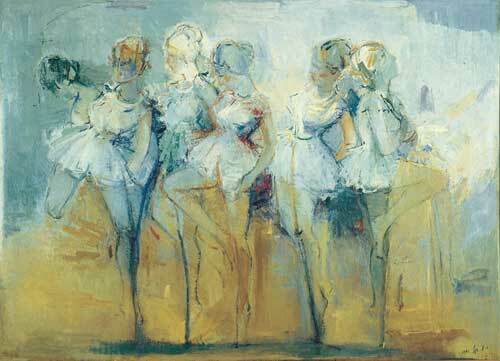 1962Oil on canvas 130 x 65 cm. Silk-screen 35 X 66 cm. Silk screen 40 x 50 cm. Silk screen 50 x 40 cm. 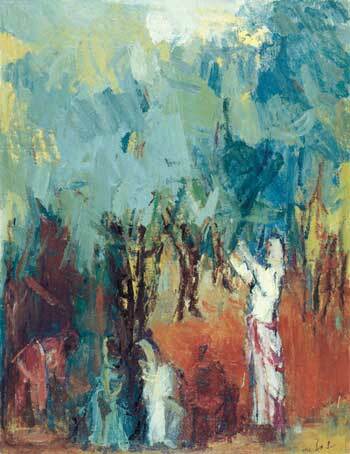 1970 oil on canvas 116 x 89 cm. Silk screen 77 x 60 cm. Silk-screen 60 X 79 cm. Silk-screen 67 X 75 cm. 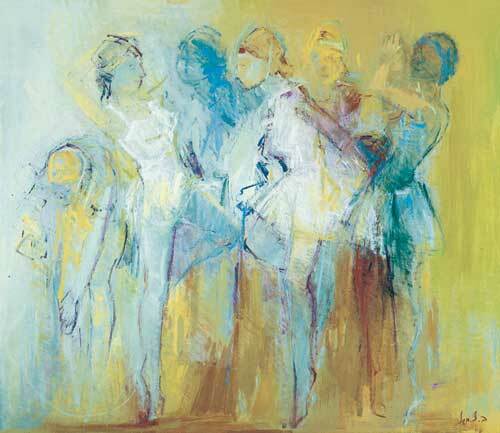 1970 Oil on canvas 130 x 89 cm. 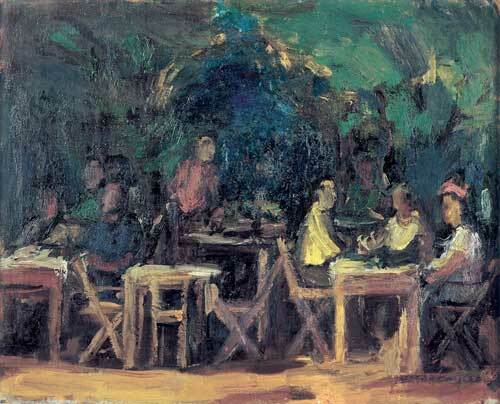 1949 Oil on canvas 41 x 33 cm. 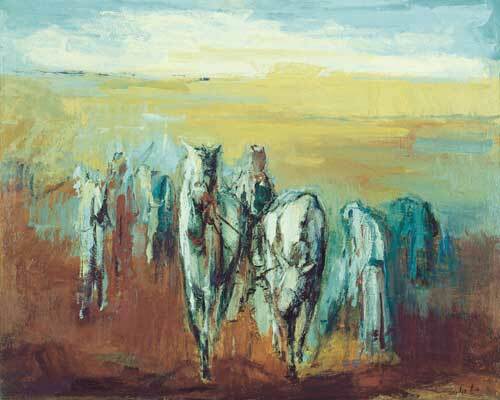 1962 Oil on canvas 116 x 92 cm. 1965 Oil on canvas 93 x 72 cm. 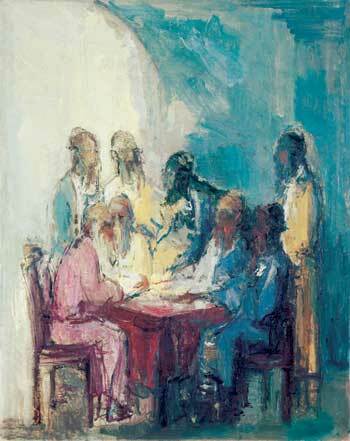 1963 Oil on canvas 89 x 65 cm. krigelm@netvision.net.il - For information, more art work or purchasing. 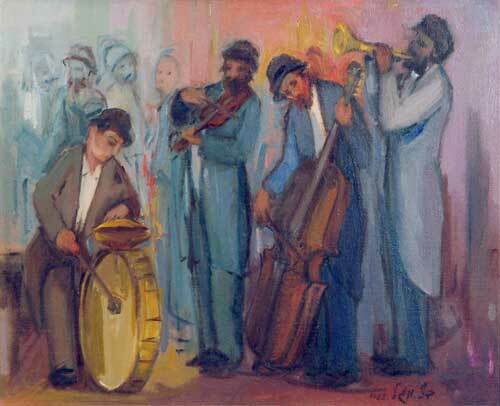 Ben Zion Magal was born in 1908 in Kishinev - Russia and there, years later, graduated from the Art Academy. 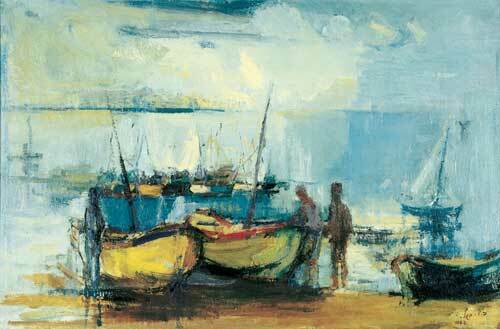 He arrived to Erertz Israel together with his wife Chaya, an artist in her own right, in 1933 and settled in Haifa. 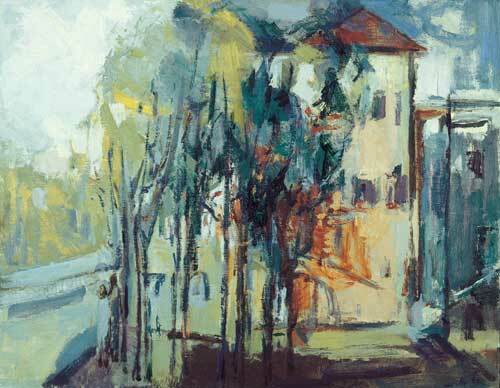 He brought with him artistic talent, experience and memories from his father's home and of the warm charm of the "Jewish shtetl". 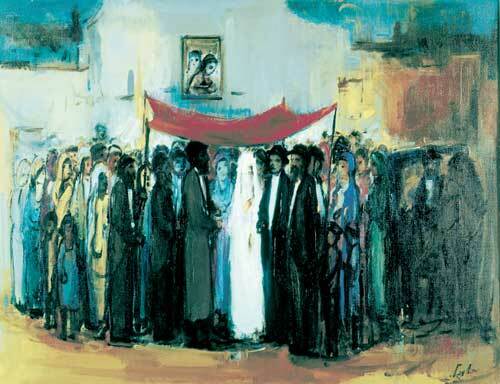 In order to survive, as an artist, in mandatory Palestine, one had to be a tough person. Magal, as many others had to create in a cultural desert and material poverty, without support of museums, galleries or any institutional backing. They started literally from scratch. 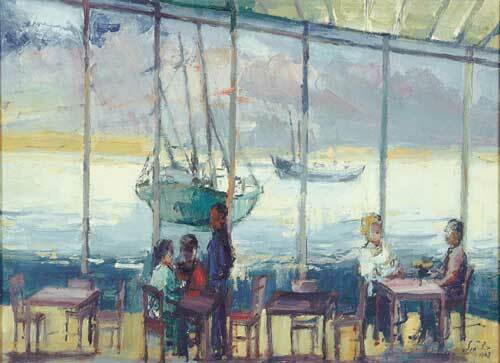 Together with other Haifa artists, he founded the Haifa Association of Artists. 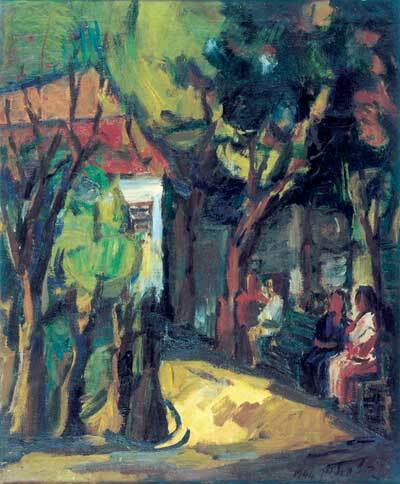 Later he was one of the first members of the Israel Association of Painters and Sculptors and was among the founders of the artistic village Ein - Hod, near Haifa. 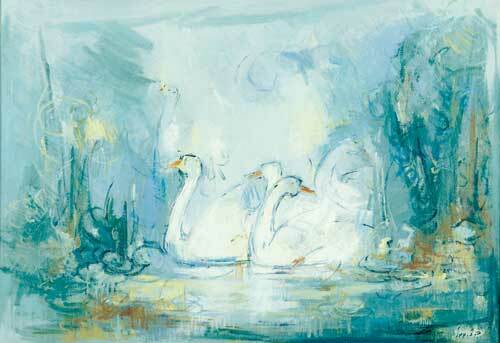 Magal's style is mainly impressionistic. 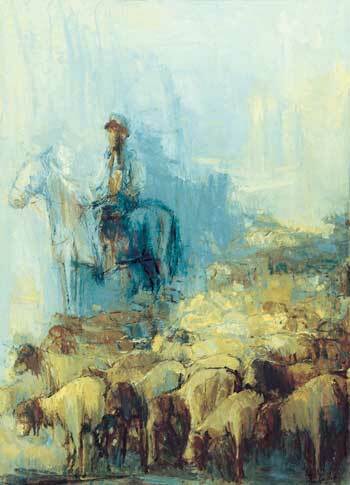 The Israeli landscape is the main topic in his paintings. The composition of the beautiful Israeli landscape, the desert and the oriental aspects are strongly expressed in the sunlight of the land. 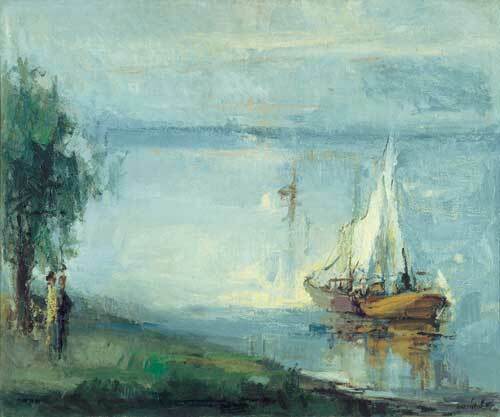 In this he follows the main trend of Israeli painters who saw, from the beginning, the landscape as one of the most important subjects. 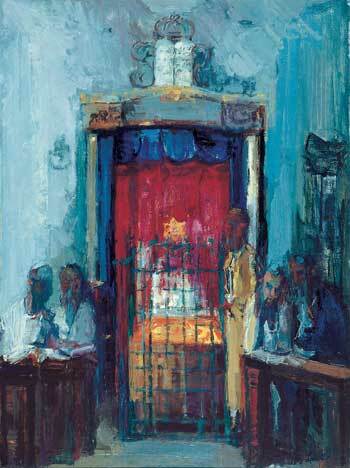 Magal's other topic, deals with Jewish life and tradition in the East European "shtetl". 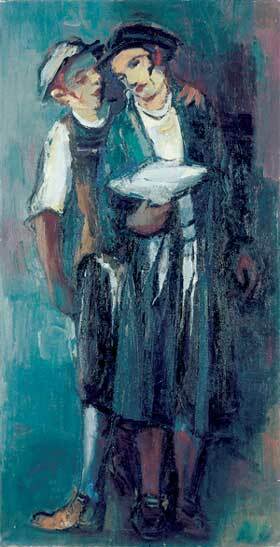 He brings on the canvas his childhood memories of the "school", the Carter, tailor and poultry vendor. 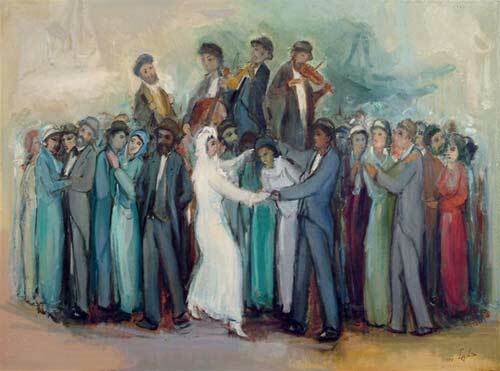 These paintings bind him to the Jewish painters who bequeathed to the following generations, an artistic expression of the Jewish tradition and way of life that was so violently terminated and does not exist any more.